It was clean, a good size, nice decor & modern. 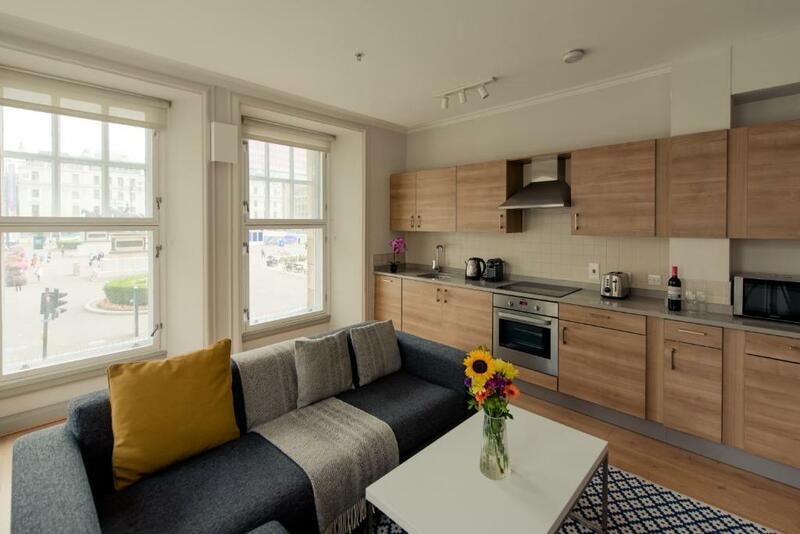 Great place , fantastic apartment, wonderful view, outstanding location. Location was amazing and the price was fantastic couldn’t of asked for anything more staff were friendly and helpful. Location perfect, good view of George Square and cheap. Lovely Penthouse Apartment. 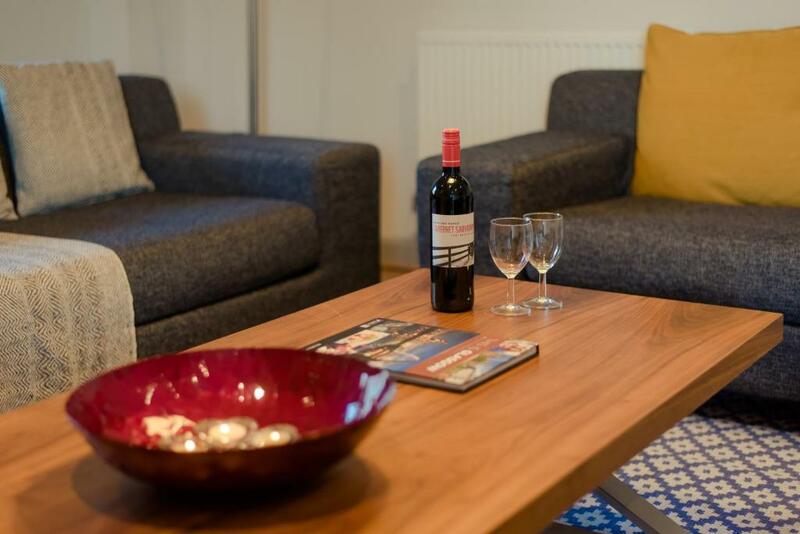 All Mod Cons, and perfect central location for shopping, eating and drinking. Nicely laid out with dual aspect balconies. Will definitely return. Amazing penthouse apartment with great facilities and friendly staff. Receptionist was very welcoming and professional. Apartment was so spacious and clean, great location. 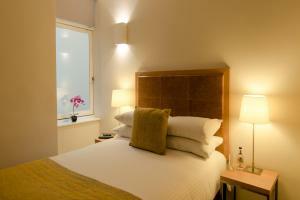 Lock in a great price for PREMIER SUITES PLUS Glasgow George Square - rated 9.3 by recent guests. In the heart of Glasgow’s city centre, Premier Suites Plus Glasgow is just a few minutes’ walk from the bustling shopping area of Glasgow. 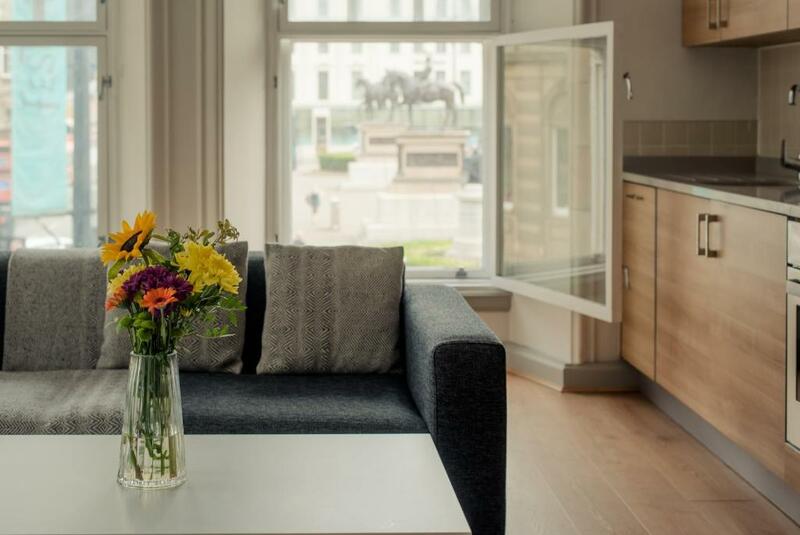 Free WiFi is available and some suites boast views over George Square or Queen Street. The Pavillion Theatre is a 9-minute walk whilst the Glasgow Royal Concert Hall can be reached within a 7-minute walk. A variety of supermarkets can be reached within a few minutes walk and the cinema is a 10-minute walk. Queen Street Rail Station is a 5-minute walk from the building. It is a 5-minute drive from Premier Suites Plus Glasgow to the M8 motorway, for easily accessing the rest of Scotland. 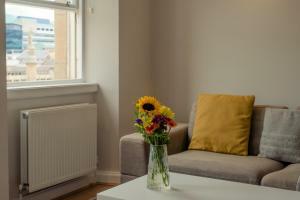 PREMIER SUITES PLUS Glasgow George Square has been welcoming Booking.com guests since 18 Jun 2012. When would you like to stay at PREMIER SUITES PLUS Glasgow George Square? Modern, contemporary suite with double bedroom, en-suite bathroom, and a lounge/living/dining area with TV. Suites come with all linen, crockery, cutlery and glassware. Some one-bedroom suites have city views. Public parking is possible at a location nearby (reservation is not needed) and costs GBP 8 per day. Modern, contemporary suite with two bedrooms, en-suite bathroom, and a lounge/living/dining area with TV. Suites come with all linen, crockery, cutlery and glassware. Please note that these standard two-bedroom suites have no view and are facing the back of the building. Modern, contemporary penthouse suite with two bedrooms, en-suite bathroom, lounge/living/dining area with TV and direct dial telephone. Suites come with all linen, crockery, cutlery and glassware. All penthouses have balcony access and some have city views. 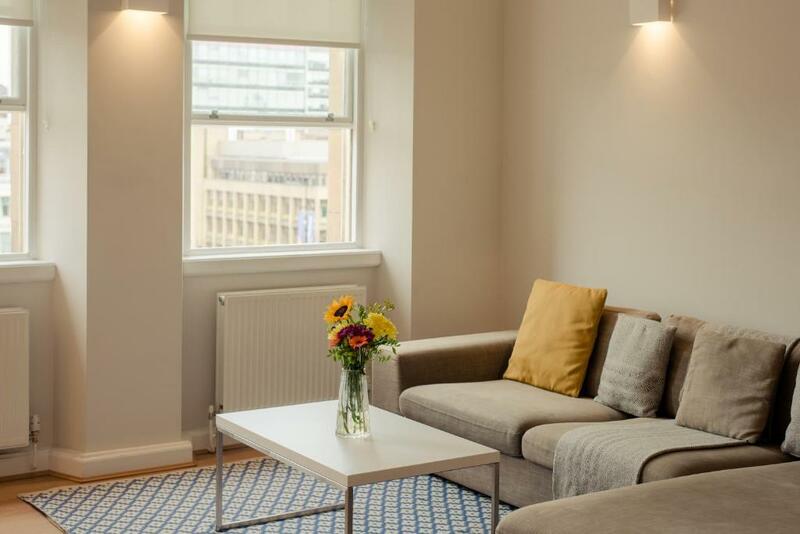 Only the best is good enough for our guests at PREMIER SUITES PLUS Glasgow, where you'll find all modern conveniences, little touches of luxury and a wonderful team. House rules PREMIER SUITES PLUS Glasgow George Square takes special requests - add in the next step! A damage deposit of GBP250 is required upon arrival. This deposit is fully refundable 0 days after check-out as long as there has been no damage to the property. PREMIER SUITES PLUS Glasgow George Square accepts these cards and reserves the right to temporarily hold an amount prior to arrival. Reservations for 4 or more rooms will be considered a group booking. For these reservations, 50% deposit will be taken at the time of booking and full payment 28 days prior to arrival. Please note that the full amount of the reservation is due before arrival. 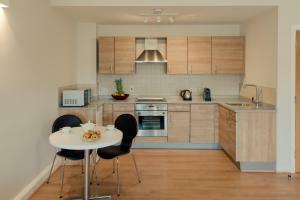 Premier Apartments will send a confirmation with detailed payment information. After full payment is taken, the property's details, including the address and where to collect keys, will be emailed to you. Please inform PREMIER SUITES PLUS Glasgow George Square in advance of your expected arrival time. You can use the Special Requests box when booking, or contact the property directly with the contact details provided in your confirmation. A damage deposit of GBP 250 is required on arrival. This will be collected by credit card. You should be reimbursed on check-out. The balcony was over an inside alley which was filthy! It was also very noisy from heating or something else from the next block. The only problem I found was it was really warm and as there was no air conditioning we had to leave the windows open, it was really noisy late at night and early in the morning. The shower and complimentary wine and cheese. A little noisy, but double glazed windows did the trick. Best spot in Glasgow. Close to everything. Uber easy too! Stains on the couch ,needs to be cleaned or perhaps even just a throw.